November 4 2015, 7:50 p.m.
ALLEN LEBLANC LED A VIGOROUS LIFE as a young man growing up in Mossville, Louisiana. He had a sheet-rocking business, drove trucks, and worked at the Conoco oil refinery. He helped his mother and stepfather run their nightclub, where Tina Turner and James Brown used to play. He also helped out at home with his five children, and he would paint, fix broken windows, and mow lawns for neighbors who couldn’t afford to maintain their houses. Now, at 71, LeBlanc is on disability, and for most of the last decade he has refused to leave his house. Seizures, liver problems, a stroke, tremors, insomnia, fatigue, and depression plague him. He can no longer drive, and he can’t walk from his front door to the sidewalk without collapsing. lj. Allen LeBlanc sits on his front porch in Mossville, La., Oct. 22, 2015. LeBlanc has known for more than 15 years that his body courses with toxins. In 1998 a group of local residents who organized under the name MEAN, Mossville Environmental Action Now, with the help of Greenpeace fought skillfully and hard to convince a federal agency within the Centers for Disease Control and Prevention to conduct toxicological testing. The Agency for Toxic Substances and Disease Registry, ATSDR, drew the blood of 28 Mossville inhabitants, including LeBlanc. The screening was for dioxins and dioxin-like compounds, a category comprising some of the most hazardous chemicals known to science. These highly toxic substances are formed when chlorine or a material containing chlorine is exposed to high temperatures — as happens in manufacturing vinyl chloride and other substances made in Westlake. The health effects of dioxins in humans can include cancer, damage to the reproductive system, impairment of the immune system, and disruption of normal hormone functions, which can lead to diseases such as diabetes. Dioxins are resistant to metabolism, so they can build up in the body, wreaking havoc for years. Now, LeBlanc may lose his community as well. Sasol, a South African fuels company that wants to expand its massive petrochemical plant in Mossville, has issued buyout offers to almost everyone in town. For decades Mossville’s people have struggled to get answers about the toxins in their blood. In their fight they’ve been shut out not only by the petrochemical companies and elected leaders but also the very public health institutions meant to safeguard citizens from hazardous substances. Today, most of these families see no option other than taking the money and getting out while they still can. The Sasol plant is rapidly expanding across acres of land that were once part of the Louisiana towns of Westlake and Mossville, Oct. 23, 2015. LEBLANC AND I SAT IN PLASTIC CHAIRS on his sloping front porch. As we spoke, the shredded screen over the front window fluttered in the hot wind. LeBlanc was bedraggled. He had stopped bathing, he said, because when he washes in water from the tap, his skin peels away. Instead, he occasionally gives himself a sponge bath with alcohol. His hair and beard, which both have gone white, frizzed unkempt around his heavily creased, still handsome face. He no longer clips his fingernails or brushes his teeth because he doesn’t see the point. In the swooning heat, most days he dons the same dingy white T-shirt with a Fanta logo over his left breast and thin cotton pajama pants. Judy Montgomery (L), 65, sits next to her father, Valery Montgomery, 89, as nurse Laura Bull performs a checkup, Oct. 22, 2015, Westlake, La. The inhabitants of Mossville should have found a natural ally in the community of Westlake, which nestles even closer to many of the plants and is therefore vulnerable to the same pollution. Many people in both towns are sick with chronic conditions, but Westlake’s whiter, wealthier residents, a good share of whom work at the neighboring industrial facilities, have never joined the fight. While most people in Mossville blame the plants for their ailments, many Westlake residents have a different take. Of the people I interviewed, some emphatically denied a link between chronic disease and plant emissions while others said they’d never given it much thought and hoped it wasn’t true. Another, a man undergoing cancer treatment, said pollution might play a role in his disease but didn’t believe Westlake was any more polluted than other places. Industrial piping runs across a small waterway that passes through the Phillips 66 plant and under Old Spanish Trail, the road that connects Westlake, La., to Mossville on the other side of the plants, Oct. 22, 2015. THE HAMLET OF MOSSVILLE, with its 500 or so denizens, sits near Bayou Contraband, a tributary of a heavily industrialized stretch of the Calcasieu River, which runs south about 50 miles to the Gulf of Mexico. Founded by former slaves in the 1790s, Mossville was one of the first communities of free blacks in the South. Its small wooden houses were interspersed among dense stands of trees and shady lakes and ponds that dappled the area. Mossville’s residents grew their own fruits and vegetables, caught rabbit and hooked catfish, mullet, and garfish. Most families didn’t have much, but no one went hungry. According to local lore, the village continued to serve as a refuge for black families during the backlash to Reconstruction after the Civil War and in the 1950s and ’60s as the Ku Klux Klan resurged in defiance of the civil rights movement. Back then, the town had a canteen, a store, and a post office, all now gone. After World War II, the area underwent a major transformation as the petrochemical industry arrived next door in Westlake. (Mossville never incorporated so is legally part of Westlake, although on maps and among residents the two are distinct.) Perched on the banks of the Calcasieu, Westlake started as a sawmill town a hundred years after Mossville was founded. Chemical manufacturers took over from the timber industry as the mostly white workers transitioned from manning the mills to running the plants. Westlake has always been a company town. Over the ensuing decades, southwest Louisiana emerged as a significant piece of America’s petrochemical infrastructure. It is the lesser-known sibling of the state’s Mississippi River industrial belt, the infamous Cancer Alley. Westlake is on a highway, rail, and pipeline corridor that’s readily accessed via the Calcasieu River from offshore drilling platforms. The bridges that span the deep narrow waterway, rising like the summit of a roller coaster, offer oil barges easy access via riverside pipelines to more than a dozen industrial facilities owned by companies such as Sasol, Phillips 66, Axiall, and Entergy. Sprawling plants dominate Westlake’s landscape — silver citadels of columns, pipes, smoke stacks, and storage tanks. Flare towers rise above the steel spectacle, their fluorescent orange flames licking sky night and day. At the entrance to Westlake, on its main street, a thick conduit of pipelines passes over the roadway festooned with a sign bidding visitors welcome. A triumphal arch for the chemical age. Rose and Dale Luttrell stand in their front yard in downtown Westlake, La., Oct. 22, 2015. Rose took me to meet Dale, her husband. They live in a suburban enclave with ranch-style houses and neat lawns. We joined Dale in their glassed-in back porch, the flowers in the rear garden blooming and the grill at the ready. Like many of his friends and neighbors, Dale has done well for himself. For over three decades he worked for Air Liquide, a company that provides industrial gases for chemical production. There he earned enough to buy this three-bedroom house and support his family, allowing Rose to stay home and raise their three children. With the kids grown, she now sells Avon cosmetics while Dale enjoys his retirement. At the end of our conversation Dale settled into his easy chair to watch television. Mounted above the TV was a monitor on which he received the feed from a surveillance camera at the front of his house. “I want to see who’s coming,” he said with a half smile. Even though the plants emit dangerous chemicals on a daily basis — a vapor undetectable by closed-circuit cameras — Dale and Rose view their ailments as a normal, if unfortunate, part of life. Both have high blood pressure, which they chalk up to age. Dale, who is trim and wore a red polo shirt and crisp khakis, also has diabetes. Rose is borderline diabetic. Their son-in-law, who’s in his early 40s, has high blood pressure, their daughter has two friends with breast cancer, and several people at their church have various forms of cancer. The Luttrells also said that none of their physicians had ever mentioned the possibility of toxic emissions contributing to their chronic diseases. Similarly, two other Westlake residents I spoke with who were currently undergoing cancer treatment said none of their doctors had questioned the role of pollution in their illnesses. A significant reason the people of Westlake can discredit a tie between their ailments and the pollution they live with every day is that many of the nation’s public health institutions so often highlight the risks from heredity and lifestyle factors like smoking and eating too much red meat. Consider cancer. The American Cancer Society’s website outlines its prevention research, which focuses on causes that include smoking, obesity, genetics, and even aspirin, but does not refer to industrial pollutants. The CDC’s “Comprehensive Cancer Control Plan for Louisiana 2011-2015” is similarly narrow. The way to reduce cancer risk in the state, the plan says, is to focus on “decreasing obesity, decreasing tobacco use and exposure, and increasing protective behaviors from the sun and ultraviolet (UV) exposures.” The document never mentions the risk from environmental toxins. Money, too, has the potent ability to normalize pollution — and industry has brought serious cash to Westlake. Even as the economy continues to lag across the country, thousands of new jobs have come to town. The current influx of capital comes largely thanks to Sasol, which is building an $8.1 billion natural gas processing facility, called an ethane cracker, that will supply raw materials for petrochemicals. 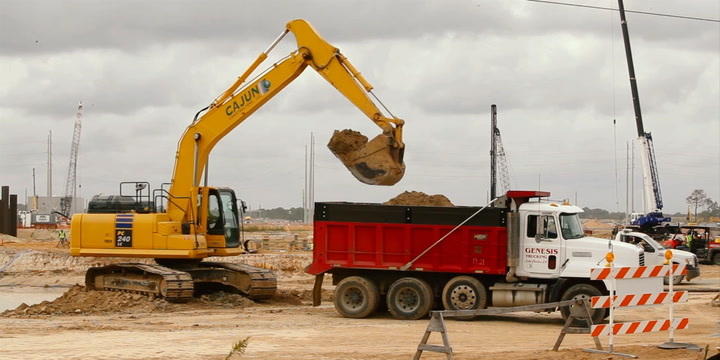 The project is expected to bring 5,000 construction jobs and 500 permanent positions with an average annual salary of $88,000, twice the median household income in the parish. Other projects in the parish are slated to bring tens of billions of dollars in investment and hundreds of permanent positions over a few short years. EVEN THOUGH THE AGENCY for Toxic Substances and Disease Registry discovered dangerous dioxin levels in Mossville back in 1998 — and despite its mission statement claiming the agency “serves the public by using the best science, taking responsive public health actions, and providing trusted health information to prevent harmful exposures and diseases related to toxic substances”— ATSDR’s characterizations of the Mossville results have consistently downplayed any potentially incriminating findings. And since this testing was done, the agency’s actions have obscured rather than clarified the dangers. When ATSDR received the Mossville blood test results, according to Monique Harden, a longtime organizer in Mossville, lawyer, and co-director of the New Orleans-based law firm Advocates for Environmental Human Rights, the agency did not first disclose to the community the precipitous dioxin levels it found. Instead, she said, ATSDR met privately to discuss the results with industry representatives, Louisiana’s then-governor, Murphy Foster, and state environmental and public health agency administrators. Mossville residents heard about their sky-high dioxin levels on the nightly news. A Westlake Recreation League football team practices at Jim Griffin Field, across the street from the Phillips 66 refinery, Westlake, La., Oct. 22, 2015. Despite calls from local activists — namely MEAN and Harden — to find the source of the contamination and provide health care, the agency took no such action. Residents felt justified in their demands because of their dioxin levels but also because of how much disease they had shouldered. Marvin Legator, a prominent biochemist at the University of Texas Medical Branch at Galveston, made several research visits to Mossville and, in 1998, conducted a health survey to establish local disease rates. He found that the townspeople were two to three times more likely to suffer health problems than a nationwide comparison group. Instead of heeding Orris, Legator, and its own directive, the ATSDR embarked on two further studies that led to ineffectual action and generated misleading information. In 2001 the agency dispatched another team to the area to investigate the pathway through which people were being contaminated. The team screened locally raised food, yard soil, and indoor dust for dioxins. Astoundingly, it took no air samples. Once its analysis was complete, the agency stated the dioxins in Mossville residents’ blood came not from hazardous emissions but from fish. The agency’s resulting action to safeguard Mossville from dioxins was to recommend the EPA dredge the sediment in the waters from which the fish samples were taken. A gas flare inside the Sasol plant, Oct. 22, 2015, Westlake, La. If it wanted to find the source, ATSDR could have cross-checked the dioxins in residents’ blood against those being released into the air by the nearby plants, which is possible because dioxins leave a chemical fingerprint. If the agency had done so, it would have found a very close match. In 2007, Wilma Subra, a chemist and former vice-chair of the EPA’s National Advisory Council for Environmental Policy and Technology, agreed to review ATSDR’s data for Advocates for Environmental Human Rights and Mossville residents. In comparing the dioxin compounds, known as congeners, in Mossville residents’ blood with those from the nearby plants she found that 77 percent of the most concentrated congeners were identical. “You wouldn’t think much if there was a one-congener match that was 3 to 4 percent of the dioxins in the blood,” Subra told me. “If you found a 25 percent match, you’d start paying attention. A 77 percent match is a big deal.” Her analysis confirmed that the releases from the facilities were in the bodies of people living nearby — and it meant the chemicals might be causing their ailments. The CDC’s “Comprehensive Cancer Control Plan for Louisiana 2011-2015″ never mentions the risk from environmental toxins. The outcome of the investigation’s second phase, carried out in 2002, made it appear as though the blood-dioxin rates were normal. 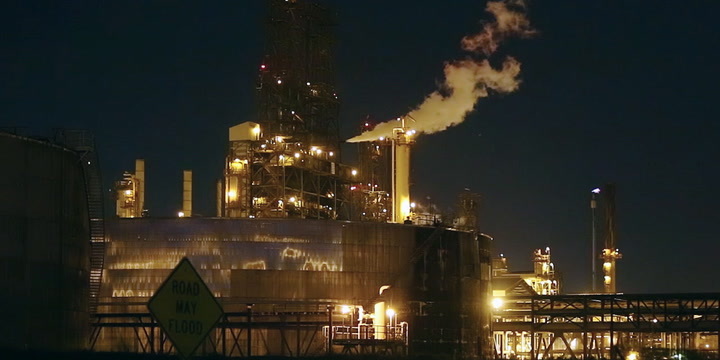 Instead of allowing Mossville inhabitants’ dioxin numbers to stand, the agency conducted a large-scale screening of people across Calcasieu Parish, where Mossville and Westlake are located, to calculate what it considered a statistically stable average. Its aim was to create data allowing it to compare dioxin levels in Calcasieu with those in neighboring, less industrialized Lafayette Parish. To do this, the ATSDR team combined the soaring dioxin levels of 22 Mossville residents with those of 272 people from around the parish. Many of those participants were in less polluted places. Naturally this neutralized Mossville’s alarming dioxin rates. The agency’s press release announcing the final report on this research was headlined “ATSDR study finds dioxin levels in Calcasieu Parish similar to national levels.” While this claim is true of the overall parish average, the agency’s data from that same study confirm that Mossville residents’ dioxin levels remained exceptionally high at almost three times the general population. “This was ATSDR’s attempt to make it look like everything was OK,” said Subra. Needless to say, ATSDR’s 2002 findings let industry off the hook. Larry DeRoussel, executive director of the Lake Area Industry Alliance, which speaks for the plants, was sanguine. “Each study has concluded that the perceived problems in Calcasieu Parish are nonexistent or are not nearly as bad as people thought,” he told a local newspaper upon the agency’s release of the parish-wide dioxin average. No one from Westlake publicly challenged ATSDR’s conclusions. This is a pattern repeated across the country — ATSDR comes to town, collects data, and then produces results that obfuscate a possible link between toxic contaminants and disease among local residents. A 2009 Congressional probe found that among the 10 cases reviewed, ATSDR had invariably minimized health problems, leading to the exculpation of polluting industries. In Midlothian, Texas, the agency determined that cement factories burning hazardous waste posed no health risk despite the nearby cancer cluster. In Elkhart, Indiana, ATSDR found that a solvent released from a nearby group of factories into drinking wells was insufficient to have caused the scores of leukemia cases in the area. In rural eastern Pennsylvania, the agency told families living along a road to a toxic-waste dump that there was no relation between the site and their high incidence of an extremely rare cancer. ATSDR’s investigation made it appear that Mossville’s blood-dioxin rates were normal. The 2009 Congressional inquiry, led by former Rep. R. Bradley Miller, a Democrat from North Carolina, determined that ATSDR’s studies “lack the ability to properly attribute illness to toxic exposures.” It also found the “methodologies used by the agency to identify suspected environmental exposures to hazardous chemicals are doomed from the start,” due to faulty research design. What drives this scientific dereliction doesn’t seem to be outright corruption or incompetence, but something more insidious — management and employees are simply attuned to the benefits of getting along. There are many incentives for ATSDR to avoid linking environmental pollution with chronic illnesses. Dr. David Ozonoff, a professor of environmental health at Boston University School of Public Health who’s knowledgeable about the agency, said that if a disease cluster were discovered to be caused by industrial emissions, residents and local lawmakers would be justified in pushing the state to clean up the toxins and enact stricter controls. Such action would likely cast that state as unfavorable to business, costing jobs and tax revenue. The accused company or industry could turn to the courts as well as mount a lobbying campaign to discredit ATSDR. That could seriously jeopardize the agency’s political and financial support from Congress. A sign protesting property buyouts posted on the side of a road in Mossville, La., Oct. 22, 2015. AMERICANS RECOGNIZE THE HEALTH impacts of their actions when it comes to contagious diseases. Tens of millions of people get vaccinated not only to protect themselves but also to create society-wide immunity. When it comes to environmental pollution, however, that mutual accountability dissipates. One explanation is rooted in how societies determine their health priorities. “The landmarks of political, economic, and social history are the moments when some condition passed from the category of the given into the category of the intolerable,” wrote Sir Geoffrey Vickers, secretary of the British Medical Research Council, in an article from 1958 that’s still apt. “The history of public health might well be written as a record of successive redefinings of the unacceptable.” Americans still see environmental pollution as acceptable, and that shapes popular perceptions of chronic ailments. Many people ignore toxic chemicals and choose to believe that their diseases are strictly inherited or the result of poor lifestyle choices. Obscuring disease rates among residents of so-called fenceline communities, like Mossville and Westlake, is also a barrier to understanding causality. As in several other states, Louisiana does not make these data publicly accessible. The state releases numbers only for parishes because it says smaller data sets can compromise privacy and leave too much room for interpretation. “Add one or subtract one and it could cause alarm or a false sense of security,” said Patricia Andrews, an instructor of public health at Louisiana State University who helps draft the state’s cancer-rate reports. This is known as statistical “instability,” and to prevent it, larger population pools, in the hundreds and thousands or more, are needed. This is the logic ATSDR used to justify its averaging of Mossville blood-dioxin rates with those from across the parish. Consequently, information detailing how many people living near industrial plants are sick, and with what diseases, often remains hidden to the public. It’s no surprise, then, that the story of chronic illness in the United States is one of private hardship. American society as a whole tends to reject the notion that toxins cause disease except in cases of acute, indisputable exposure. Accepting this requires the willful suspension of disbelief and the consent — conscious or not — to bear whatever illnesses may come. Some people, like those in Mossville, resist, but most Americans, as in Westlake, go along. They succumb to a subtle form of fear, not of disease but of disruption. If the industry just beyond the backyard is poisonous then the jobs could leave, the economic security they offer could vanish, and the house that took decades to pay off could be worthless. It would also mean the family’s maladies were preventable. What seems to feel less scary for most Americans is to become accessories to the tragedy — to bring the disruption into the family by accepting illness as a personal hardship and not a disaster the public shares. To build its new Westlake ethane cracking facility Sasol needed more land. So it decided to sequester the acreage from populated parts of Mossville and Westlake adjacent to its existing facility. Tapping a subsidy of $115 million in state money, the multinational corporation has already purchased private properties in the path of its construction. And, two years ago, the firm initiated a program to offer voluntary buyouts to almost everyone else in Mossville. Crucially, it did not do the same in Westlake. The firm’s spokesperson said this was because in community meetings that Sasol held, people from Westlake did not express a desire to leave whereas Mossville residents did. There’s no question the company will have less trouble if Mossville ceases to exist. The local activists have grown savvy over the years, although industrial and political players have been able to ignore many of their demands. Mossville activists educated themselves in toxicology, environmental law, investigating public records, testifying before Congress, and negotiating with some of the most powerful corporations in the world. With Harden’s organization they have filed a complaint with the Inter-American Commission on Human Rights, the judicial arm of the Organization of American States. The complaint alleges that state and federal environmental and public health agencies are failing to safeguard the well-being of Mossville’s people. “Everyone’s health needs to be treated as important and valued and protected and no one should be exposed to a host of chemicals where they live. That should just be basic,” said Harden. This activist acumen will necessarily disperse as the community breaks up and families relocate near and far. Judy Montgomery sits in her kitchen in Mossville, La., Oct. 22, 2015. Judy Montgomery is currently finalizing the sale of her house. She told me she’s sad to leave — but also relieved. Before Sasol’s offer there had been no hope of getting away from the pollution, because no one would have bought a house so close to the plants. Residents now have a way out, and almost everyone is taking it. It’s good they can leave because that’s the only way Mossville’s people can reduce their exposure to the emissions. “We don’t have to live in this toxic town anymore,” Montgomery said, flashing one of her ready smiles. “Thanks to God.” But this reprieve comes at the cost of erasing an entire town.